The venerated filmmaker Eisenstein is comparable in talent, insight and wisdom, with the likes of Shakespeare or Beethoven; there are few - if any - directors who can be elevated to such heights. On the back of his revolutionary film Battleship Potemkin, he was celebrated around the world, and invited to the US. 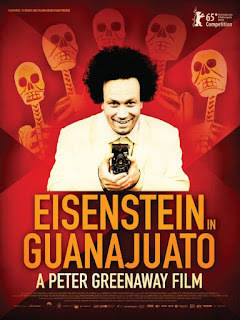 Ultimately rejected by Hollywood and maliciously maligned by conservative Americans, Eisenstein traveled to Mexico in 1931 to consider a film privately funded by American pro-Communist sympathizers, headed by the American writer Upton Sinclair. Eisenstein's sensual Mexican experience appears to have been pivotal in his life and film career - a significant hinge between the early successes of Strike, Battleship Potemkin, and October, which made him a world-renowned figure, and his hesitant later career with Alexander Nevsky, Ivan the Terrible and The Boyar's Plot.